Prime Minister Tuilaepa Sa’ilele Malielegaoi has called the attention of global leaders in New York to developments damaging the oceans in this part of the world. The Pacific Ocean is the largest of the oceans domain, and over generations, our people have created an intimate relationship and a unique dependency on the ocean for our sustainable development, food security, social structures, livelihoods and tenure systems as well as traditional systems of stewardship governing its use. For us, the ocean is both a shared resource and a source of isolation. True, the ocean separates our islands but we also acknowledge that the ocean brings unity in a diverse and dynamically evolving world. It provides us with both opportunities and challenges, and is probably the one natural asset that all our islands have in common, and in abundant supply. For our resource-constrained islands, the possible presence of living and non-living resources in the ocean seabed beyond the high seas, signals an exciting prospect in terms of expanded resource base, where none existed previously. Yet against these opportunities, there are also some threats. The health of the ocean is increasingly compromised by pressures, including overfishing, climate change; both slow onset and long term, ocean acidification, habitat degradation due largely to coastal development and over exploitation of resources and ad hoc development. It was against this backdrop of mounting challenges and a sense of pessimism given the fragmentation of discussions on ocean issues in the United Nations that Pacific Small Island Developing States championed "Ocean" to be a stand-alone goal in the new set of Sustainable Development Goals. The realization of this goal provided the motivation behind the push to hold the Ocean Conference this year to give SDG 14 a clear head-start in its overall implementation. As well Oceans has a significant place in the SAMOA Pathway and is an integral part of the Pacific Framework for Regionalism. For Pacific islands, the new vision of sustainability includes conservation, sustainable management, balanced harnessing, and equitable share of economic returns from the utilization of marine and ocean resources. And while everyone is quick to direct our attention to prioritize conservation above all else, which we have been doing voluntarily over the years, and will continue to do so unprompted; from our islands perspective, we also want to enjoy a greater and fairer share of the benefits derived from our ocean resources. After all, owners of other natural resources are doing exactly the same. Most are extracting the maximum benefit and influence possible from such natural resources provided this is done sustainably and effective management is in place. Our message is simple. Our vulnerability due to current capacity and accessibility constraints, and perhaps lack of scientific knowledge of the issues at stake, should not be seen as the opportunity to harness our ocean resources optimally or a convenient distraction to deprive our people from enjoying their rightful share of those benefits. The Sustainable Development Goal 14 on the oceans provides an integrated framework within which our islands can seek to try and balance the economic benefits to be realized from our ocean, seas and coasts, with the management and conservation of the fragile ecosystems that they accommodate. Indeed, within the framework of the Third International Conference of Small Island Developing States - the SAMOA Pathway called for ambitious and urgent action on climate change, and stressed the need to protect biodiversity through efforts aimed at conservation and sustainable use of our oceans and seas, and the harnessing of ocean-based natural endowments. An integrated and coherent approach to the management and development of our 'ocean-space' to assist us generate multi-sector economic benefits from our oceans will also serve as protection in our efforts aimed at mitigation and adaptation. Last year, we, the Pacific Leaders issued the Pohnpei Ocean Statement titled "A course to Sustainability" which underscored the need for meaningful implementation of SDG14 commitments, in particular, genuine and durable "partnerships for action". The Pohnpei Statement stressed the need for increased scientific knowledge and research capacities, improved technology transfer and strengthened partnerships to enhance the sustainability of our oceans. Apart from Pacific SIDS dependence on the ocean, we are also vulnerable to any changes in the ocean - whether that is raising level, acidity or the status of its resources. If one takes into account the role of the ocean in mitigation of green- house-gas emissions, by extension, the large ocean-based Pacific countries are able to do their share of implementation of the Paris Agreement through ocean-based actions, such as implementing "Blue carbon" policies, reducing CO2 emissions from maritime transport, developing ocean-based renewable energy etc. For adaptation, using an 'integrated ecosystem-based approach to resilience and adaptation" is a main focus for ocean/climate change, especially regarding green infrastructure being able to provide natural system protection for defense against sea level rise, saltwater intrusion, storms, and flooding; as well as establish and effectively manage coherent networks of marine protected areas. 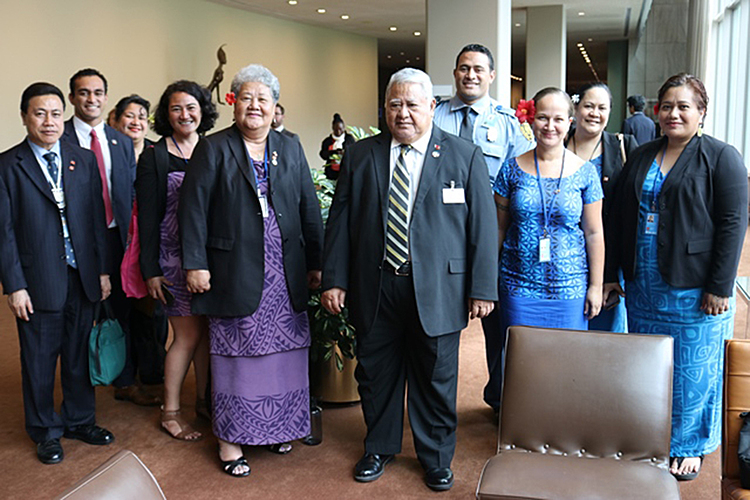 Mr. President, Samoa has submitted 12 Voluntary Commitments under the SDG 14. 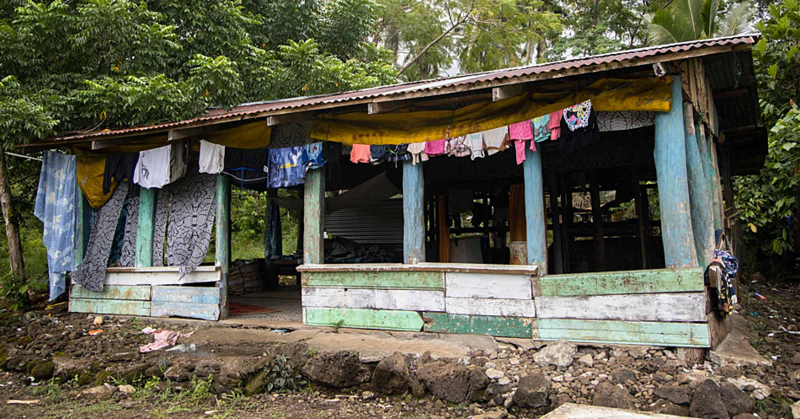 These include Samoa's Community-based Fisheries Management Programme which aims to ensure the long term sustainability of coastal fisheries resources for food security and livelihoods of coastal village communities through the empowerment of communities. This is undertaken through a community-based approach where villages work in partnership with the government in managing their coastal fisheries resources by identification or marking of a "no take zone" within the fishery management area and the development and approval of fisheries by law to give recognition to village fisheries committees to carry out surveillance and enforcement of their fisheries management areas. Another voluntary commitment involves the rehabilitation and protection of mangrove ecosystems for Climate change adaptation, livelihoods and biodiversity as some mangroves are threatened by overharvesting, removal in favors of other developments, pollution, use as wastelands, natural phenomena and other activities. In terms of solid waste management, Samoa's Waste Segregation, Storage and Disposal at Source initiative, hopefully will serve as a model for other Pacific Island Countries to adapt and utilize in order to tackle their respective solid waste management issues. Japan has supported the commissioning of semi-aerobic engineered landfills designed with the 'Fukuoka Method'. Government in close coordination with the private sector and communities have conducted segregation and storage of generated recyclable waste materials, cans and plastic bottles at source for recycling and recovery purposes. The fourth and perhaps a somewhat unique Voluntary commitment is called the "Sa Moana Folauga" or "Ocean Voyage". 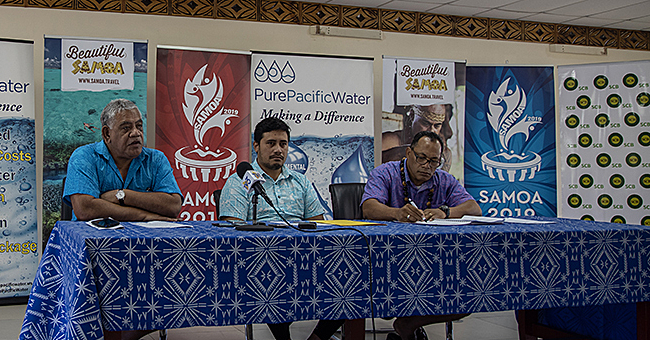 This is a commitment to build capacity and awareness of environment and natural resource management and to revive our voyaging heritage in communities in Samoa. The focus is to enhance awareness, to ensure communities become better ocean stewards through establishing protected areas and sustainable use of marine resources as well as switching to renewable energy alternatives to reduce carbon emissions. This is an inaugural journey promoting identified conservation and heritage messages for the protection of our country's fauna and flora. Like many other Pacific island countries, nature is a central feature in Samoan culture and heritage. The international and regional community recognizes the importance of empowering local communities as the true stewards of nature and are meaningfully and actively engaged in initiatives and programs to prevent the demise in the state of our natural resources. Fittingly, in an article in one of our newspapers titled "Women Ocean Leaders of Samoa" to commemorate this week's Ocean Conference, it shared the story of Captain Fealofani of our traditional double-hull voyaging canoe, the Gaualofa and how the crew is working in partnership with government ministries to implement awareness raising grassroots programmes in Samoa. 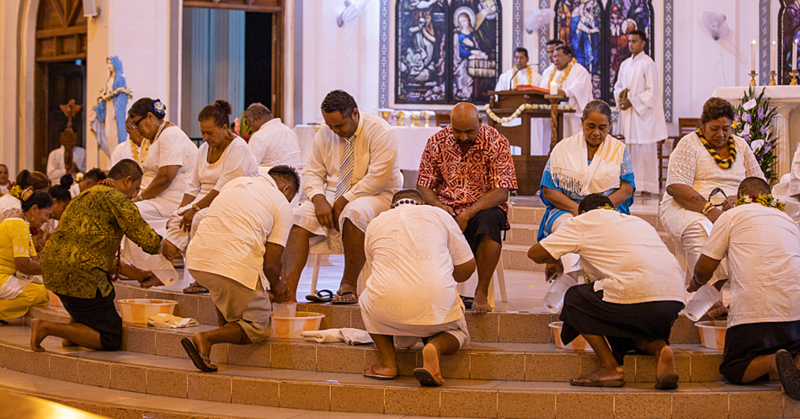 The goal is to "promote the revival of Samoan cultural traditions related to ocean sailing and navigation and the wise stewardship of the Pacific, encouraging conservation, protection, awareness, and preservation of the Pacific Ocean and island environments". Of greater and special significance is the fact that the Captain of our traditional double-hull canoe is indeed a woman. This is a strong endorsement of our Samoan women's capacity and sheer determination to push the boundaries for gender equality. Captain Fealofani is quoted to have said "the ocean needs us women to stand up for her, to speak up for her, to cause our men and other women to take better care of our ocean, to look after the ocean better." That is our challenge and should be our global and collective goal as well. Thank you.